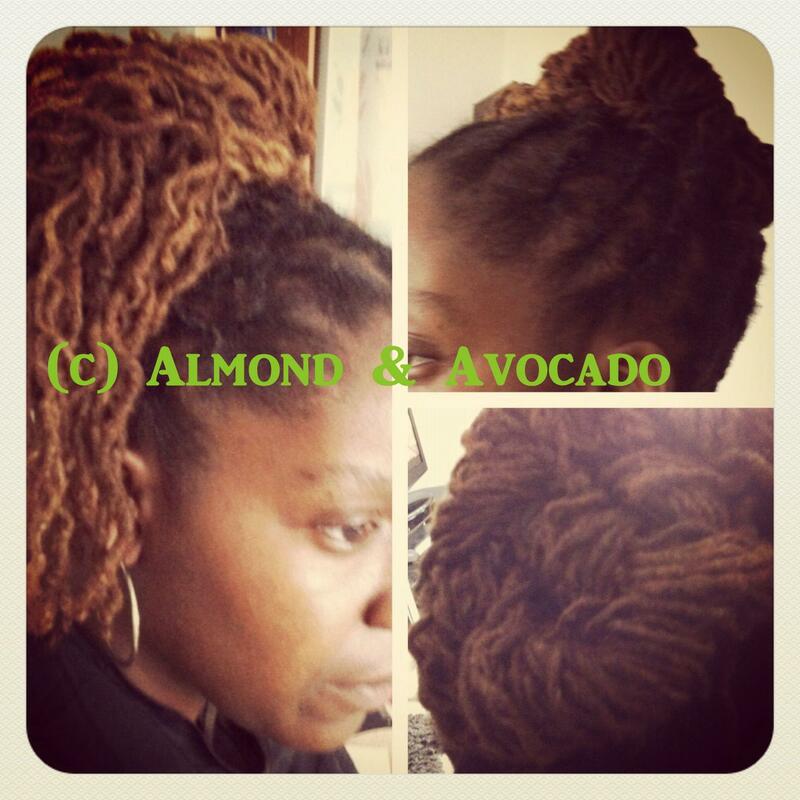 Yes, you all know that Almond & Avocado does Sisterlocks (I spend a lot of my time talking about and retightening Sisterlocks!) but did you know that I also do traditional (palm/finger-rolled) locs? Whether palm rolled or Sisterlocked they are just as fun because at the end of the day people are people and I love my clients!! Here is a style I did for a lovely client who was preparing for an evening out. Please forgive the poor angles - the stitch software I used ate up half the pics!!! Hair was flat twisted up into a high pony and then inter-weaved around into a bun - one side was left to cascade down towards her shoulders which added a little pizazz to reduce the 'severity' of the classic bun.